« Apples and Pears for North West England: suggestions please? Saskatoon: why is it not fruiting? I bought three Saskatoon three years ago. However, only one has flowered and produced fruit. They are all grown in the same conditions. Any ideas why? A few years ago we published an article on our main website about the Saskatoon by John Stoa and his success in growing this fruit in Scotland. 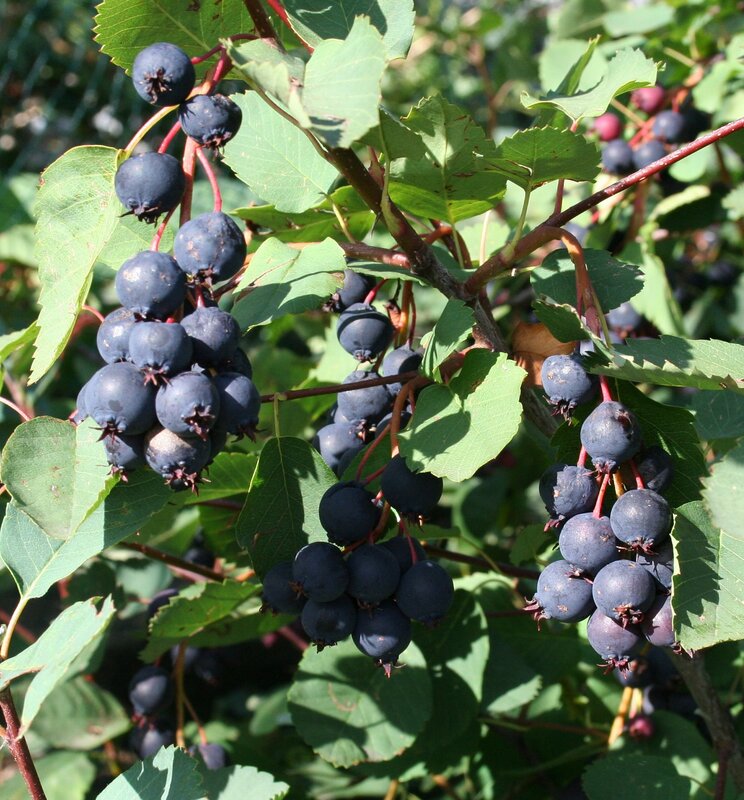 Saskatoons are a commercial crop in Canada and the US. That is quite unusual as most flower and fruit after 3 to five years. However, I cannot give any opinion as I have no knowledge of your location, soil, land drainage. There are numerous reasons for failure including water logging, soil too dry, weed killers nearby, other sprays, cats, animal browsers, poor soil, too much shade. If you can send a photo I might be better placed to help with advice.